We know how difficult it can be when all of your friends, family and work colleagues are flaunting their new gadget in front of your face but your contract or financial situation doesn’t allow you to go out and purchase the latest and greatest tech. 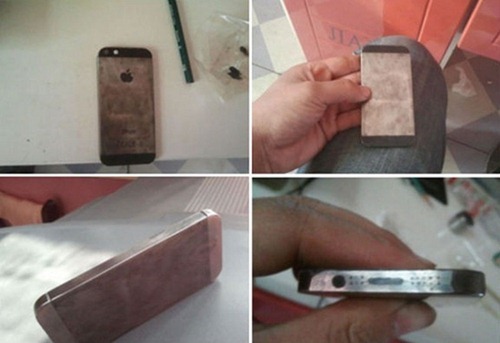 Thankfully, staying at the cutting edge of the mobile industry doesn’t need to cost a fortune, something that has been demonstrated by a Chinese Apple fan who has managed to forge an iPhone 5 out of nothing more than a lump of steel. Sort of. 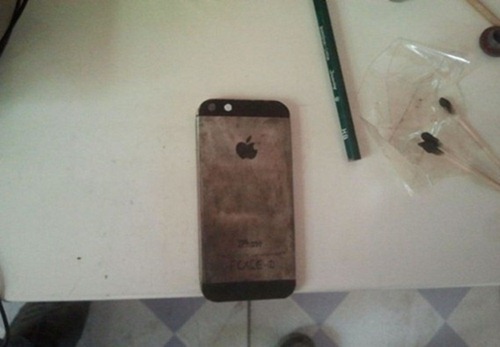 It may not have the polish and panache that an Apple produced iPhone 5 has – thanks to the advanced engineering techniques used – and it may not actually offer any kind of iPhone based functionality, but it certainly looks like an iPhone 5. And considering it has been made from a large slab of steel, it is actually quite an achievement. 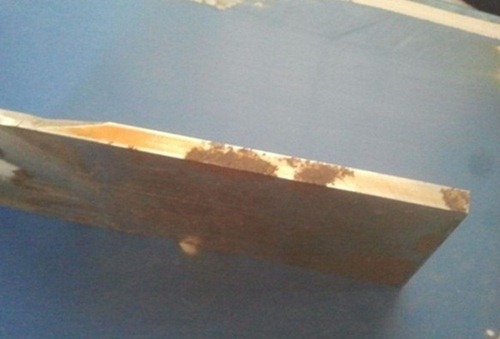 The Sina Weibo user started off with an initial steel plate that measured in at 140mm long by 60mm wide and had a thickness of 6mm. 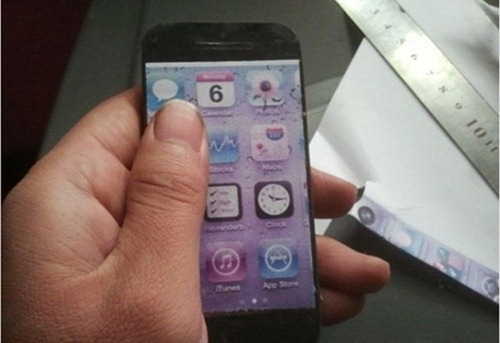 Although the iPhone 5 is actually 7.6mm deep it makes a great starting point for the creation. 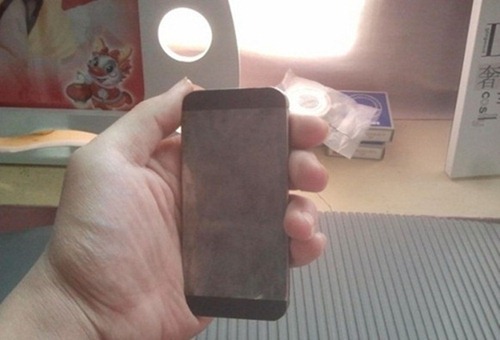 The next stage in the home-based manufacturing process was to take the steel plate and begin to cut and polish the exterior in an attempt to match the real-life iPhone 5 specifications and dimensions as best possible. 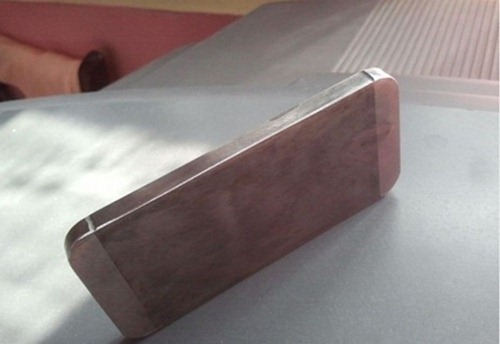 Once the corners of the steel had been shaped and polished to give the overall form factor of the device, it started to become immediately apparent that it was indeed an iPhone 5 that was being created. Pencil lines were drawn onto the rear and rim of the device to indicate where little grooves should be cut for the finer details. 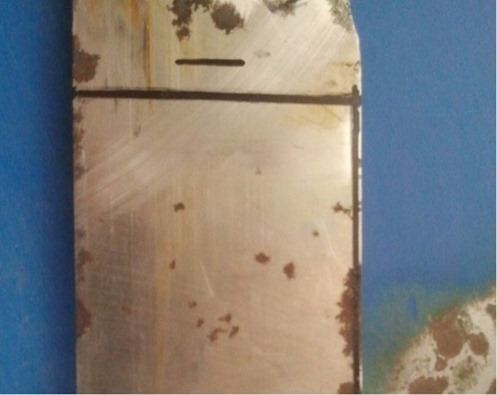 Rather than using paint to quickly get the desired color on the back of the steel slab, the crafty handyman used chemical water to achieve the correct slate color on the steel. Simply applying paint would be quicker but would also be less effective, in that it would start to fade almost immediately. 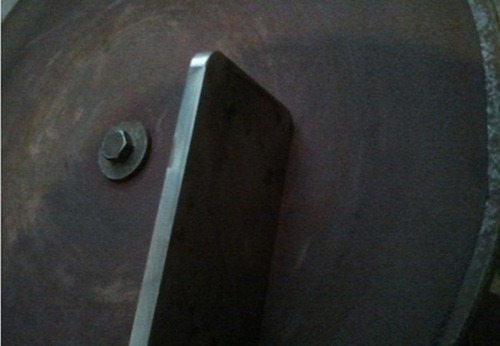 Industrial polishing is the next step to chip away all of the rough edges of the steel and get rid of the rust before taking the pencil once again and drawing on the Apple logo and trademark information. It may not make calls, it may not download apps and it may look a little battered, but it’s yet another showcase of what you can achieve with some some household tools and a little bit of spare time. Personally speaking, I think I’ll stick with the real thing.